I know that it is less than three weeks away until Christmas Day, and if you’re like me you probably have about ten weeks’ worth of things to do before then. Christmas is supposed to be a time of rejoicing, relaxing, and spending time with loved ones. Despite this it quite often turns into a time of fretting about what needs to be done and what isn’t going to get done. The good news is that Christmas doesn’t have to be a stressful time. The main cause of holiday stress is when you “run out of time”. So, don’t wait until the week of Christmas to shop, wrap, or decide what you’re going to cook. 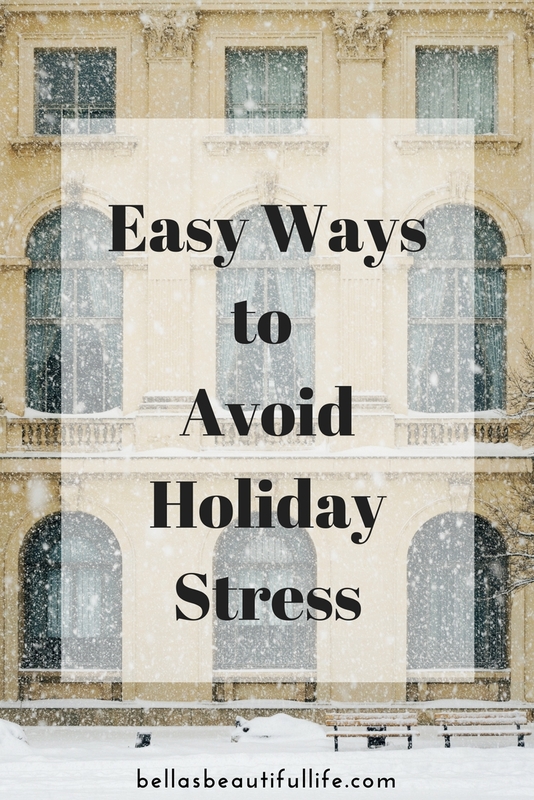 Here are some of my top tips to eliminating holiday stress, so you can truly have a Merry Christmas and a Happy New Year. Strings of lights remain dark when you plug them in (and stay dark after you’ve replaced 75% of the bulbs). The fake Christmas tree won’t light. Ornaments break. Pet’s knock the tree over, and more ornaments break. The cat eats several poinsettia leaves and then starts eating on the evergreen wreaths. It’s all a part of the Christmas decorating process. Find out a decorating system that works for you (and protects your pets in the process, lol). Some people like to scatter their decorating over a couple of weeks, while others prefer to spend two entire days decorating every part of their house. My family typically scatters the Christmas decorating over about three weeks. Of course sometimes life happens, and the decorating doesn’t go as scheduled. I know after one particularly long fall semester, where finals week was the week before Christmas, I didn’t get my little Christmas tree up until a few days before Christmas Day. If this happens, just leave up the tree a little longer even if it goes against “tradition”. There’s nothing wrong with having Christmas decorations up in mid-January. After all the stores have Christmas décor up in October. Christmas isn’t here yet, so it’s not too late to join in with Blogmas. If you’re stumped for ideas of things to write about, think about what you would like to read. The ideas are limitless. If you feel like doing Blogmas would stress you out some more, try writing in a private journal instead. Before you start shopping – or before you shop some more – take the time to determine your budget. This will save you stress while you’re shopping, and in January when the bills start arriving. If you want to get into the details, decide what you are going to spend for each person. Make a list of everyone you are buying a Christmas gift (or gifts) for. Decide where you can get which gifts, or if you can order them online. If you can go to a store twice instead of five times before Christmas Day, you will have a lot more time to do other more important things. Sometimes it helps to do a pre-shopping trip, walk around different stores and see what they have to offer. There have been different times where I found something I liked better as a gift than what I had been looking for in the first place. Shopping online is great for so many different reasons. You don’t have to spend time standing in an aisle trying to make up your mind which gift to get. It’s easy to add stuff to your cart and then before you check out you can delete everything you don’t need. If it’s taking you too long to decide which gift to get, you can leave your computer alone for a while and do other Christmas things around the house while you make your decision. It also makes it easy to comparison shop. Delivery costs can be a pain, but sometimes if you’re saving a lot on what you’re buying, it’s worth it to pay a few dollars for shipping. Also, some businesses such as Wal-Mart, ship for free to the store. Baking is a great way to get your mind off of things. Plus, there’s nothing like the smells of baking to make your home feel Christmassy and homey. Use Christmas as an opportunity to try those recipes you’ve been reluctant to experiment with throughout the year. I like wrapping gifts, unless it is Christmas Eve and I have a ton to wrap, lol. Things can get too stressful if you wait until all of your shopping is done before you start wrapping. Instead of letting it pile up, try to wrap as you get your shopping done. If you don’t normally like gift wrapping, turn it into a fun occasion. Bake cookies beforehand, make hot chocolate, and play music or watch a Christmas movie while you work. Christmas Parties. They can either be great or terrible. If you go to a party, where you don’t really know anyone then you have to make small talk with strangers. If you go to a party with extended relatives, you have answer a mirage of questions. Where are you going to school? What’s your degree? What semester are you in? Do you have someone special in your life? Oh you graduated, what are you doing with your life now? Where do you work? It doesn’t end. Option one, is answer the questions as simply as possible. Option two, skip the party. If going to the party is just going to cause you unnecessary stress, it may be better if you make other plans instead. You can easily use that time to do stuff around your house, spend time with your immediate family, or go Christmas shopping. Nothing is perfect year around, and Christmas isn’t perfect either. If you chase December perfection, you will only be fighting a losing battle. Don’t fret if the gift you wanted to buy sells out, or won’t be shipped in time to arrive Christmas Day. Unpredictable turns of events are what make holidays memorable. Don’t spend all of your waking hours shopping and cleaning to just wake up the day after Christmas and realize you didn’t enjoy the season.